On view through August 2015 (by appointment). Detached Accessory Dwelling Unit (DADU), city and codes-given name for tiny homes on one’s property, is anything but that. DADU houses friends, art work and a studio. DADU, Jodi Hays’ studio and workshop (in the alley of 12th between Forrest and Gartland) will host its first pop-up of a series: conversations, a collaboration between Director/Artist Jodi Hays (East Nashville) and Curator/Artist John Ros (galleryELL, NYC/London). Download digital catalogue for this exhibition. 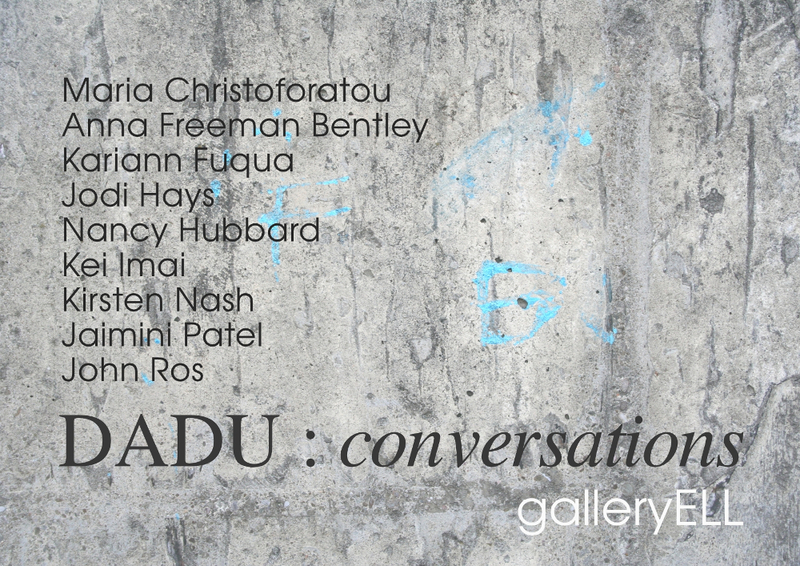 View complete conversations series catalogue on issuu. DADU installation shot. HAYS, 2015.